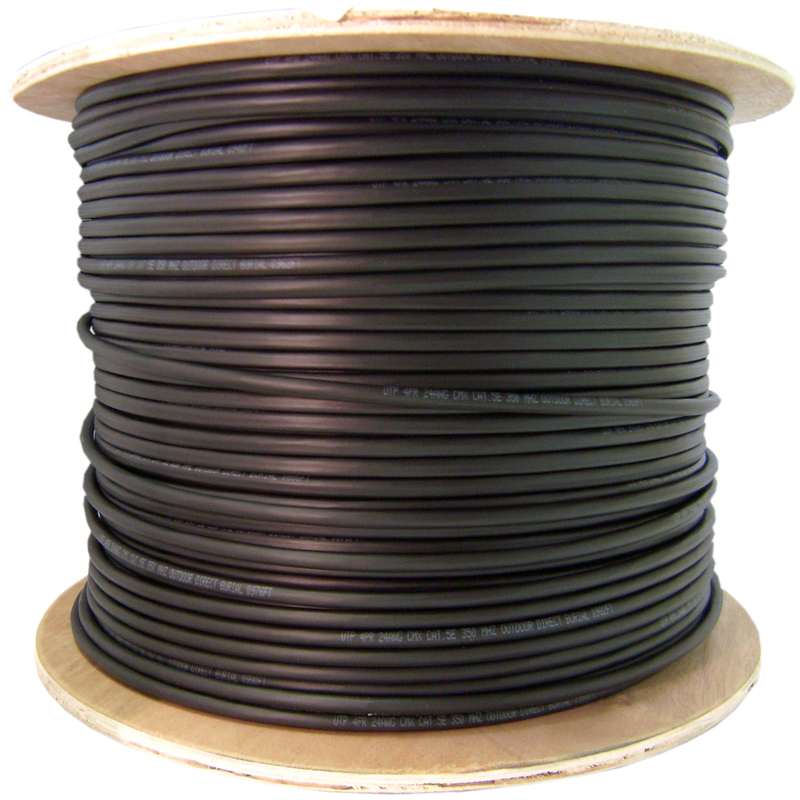 This is a black 1000 foot spool of indoor/outdoor plenum rated fiber optic distribution cable intended for large installations of mid to short range runs at LAN Speeds. It is composed of 2 multimode fibers (50 micron core) inside a water blocking Aramid yarn wrapped in a black PVC outer jacket. Multimode fiber is optimized to work with fiber optic equipment using light wave lengths of 850nm (nanometers) or 1300nm. The cladding diameter is 125 microns. The Graded-Step core and cladding of our black bulk indoor/outdoor bulk 50/125 distribution fiber optic cable is constructed using a high quality multimode fiber that is compliant with TIA/EIA 455-220A and IEC 60793-1-49. It also maintains compliance with legacy and LED based systems per TIA/EIA 455-204 and IEC 607-1-41.